Since 1989, DR has been committed to crafting hand made, superb-quality instrument strings. By blending the best of old-fashioned handmade craftsmanship with cutting edge materials or string coatings, DR continues to push the boundaries of the string-making process. That commitment to quality is what has brought countless top-flight bassists and guitarists to string-up with DRs - from U2's Adam Clayton to Phish's Trey Anastasio and everywhere outside and in between. 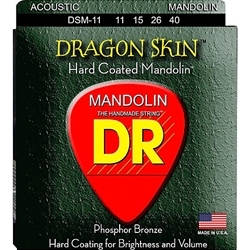 For reliable tone - acoustic or electric - you can rely on the handcrafted strings from DR.